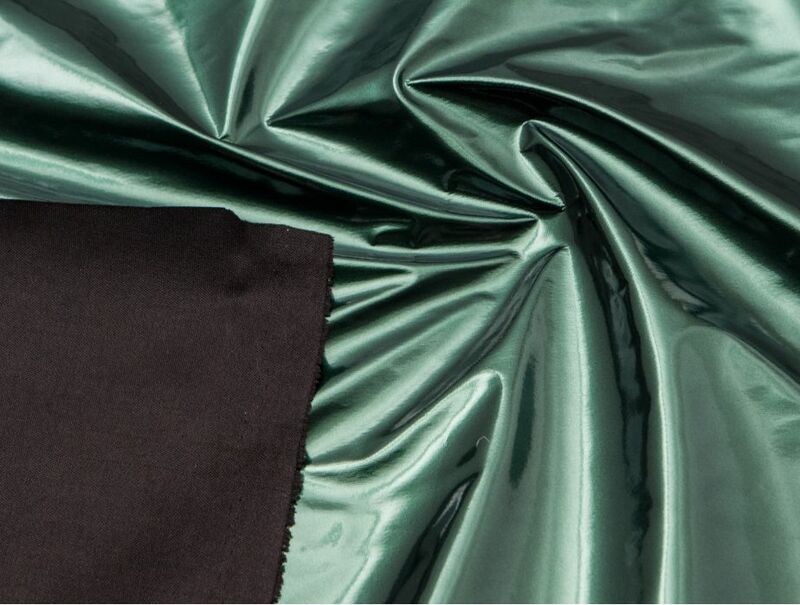 Metallic green pvc / vinyl fabric with a metallic finish has 2-way stretch (stretches horizontally but not vertically). 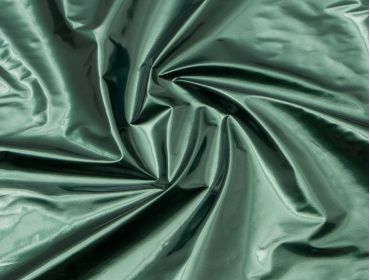 Fabric has high gloss, very shiny. Vinyl coated with soft polyester backing. Uses include DIY cyber fashions, corsetry, light upholstery, halloween costumes, cosplay outfits, dog beds, and water resistant items. Metallic Green PVC has been added to your cart.